If you watched PBS’s Joy of Painting back in the 80s and early 90s, you’ll probably recognize BrickinNick‘s most recent creation. If not, I’ll give you a few hints. 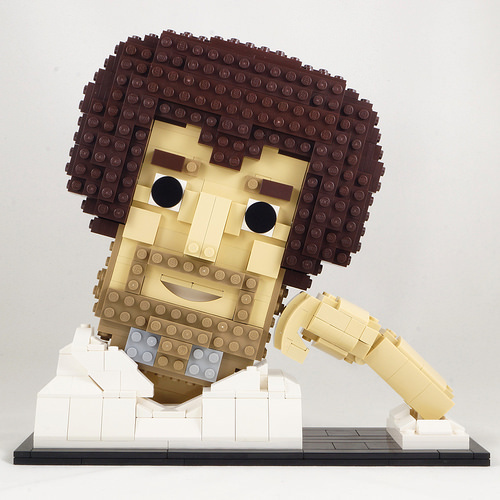 This icon was known for his soft voice, his permed afro (which BrickinNick captured perfectly in LEGO brick), and his positive outlook on life. Bob Ross also taught me that there’s nothing wrong with having a tree as a friend.